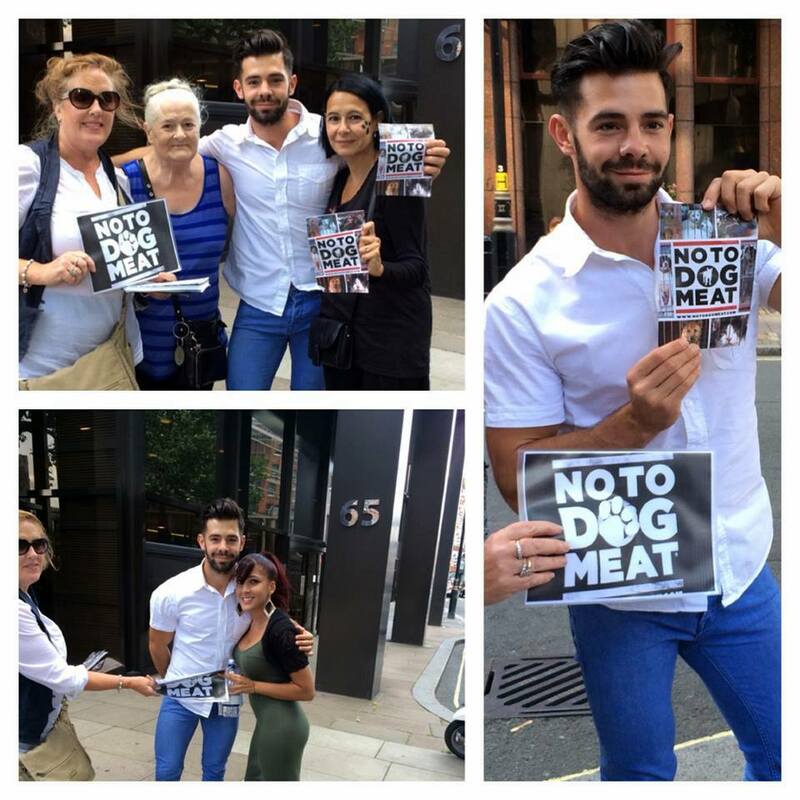 London Says No To Dog Meat at the Korean Embassy! 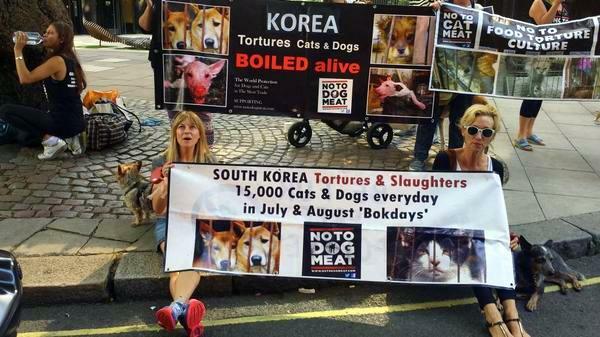 London says a resounding ‘No To Dog Meat’ as activists turn out in force to protest today outside the South Korean Embassy in London. This time we took our megafone as well as our banners and it was not possible to ignore us – needless to say we all have hoarse voices! Many passing drivers honked their horns in support and what’s more Charlie King from TOWIE dropped in to support the campaign! Next Hollywood NoToDogMeat Demonstrate at Korean Consulate LA!